I needed to make a quilt for a king sized bed. Making the top was not a problem but what about the cost of having it quilted. My little quilt frame would not even look at it and even if it would my albeit semi professional machine would be working on minus inches by the time the whole thing had rolled up under the arm. The only thing to do was quilt as you go. I have never done one of these before but never let it be said that I would let a little thing like that stop me. There has to be a first time for everything. 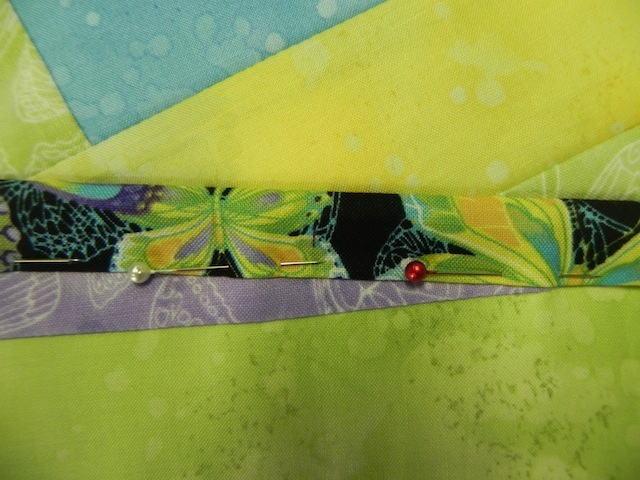 First I did crazy patch squares using strips of butterfly fabrics on a sandwich of backing and cotton/polyester wadding . 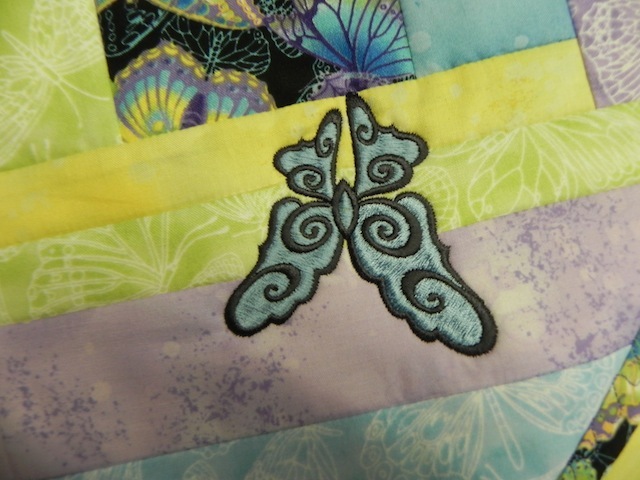 Having chosen to go with a butterfly theme I was going to do some reverse applique butterflies but decided that it would either make or break the project. With my luck it would be the latter. Instead I experimented with embroideries. Once I had drawn myself a rough plan of which colour went where to prevent adjacent duplicates it was a doddle. I had sewn the blocks into sections of two rows of eight blocks. 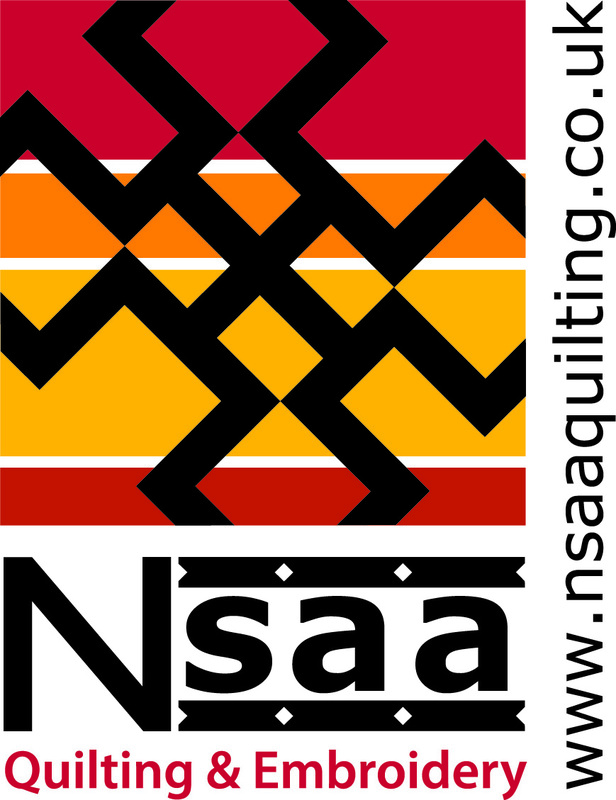 The whole quilt was to be eight blocks by eight blocks so I had four sections. the added bonus was that as the blocks already had three layers no stabiliser was needed. 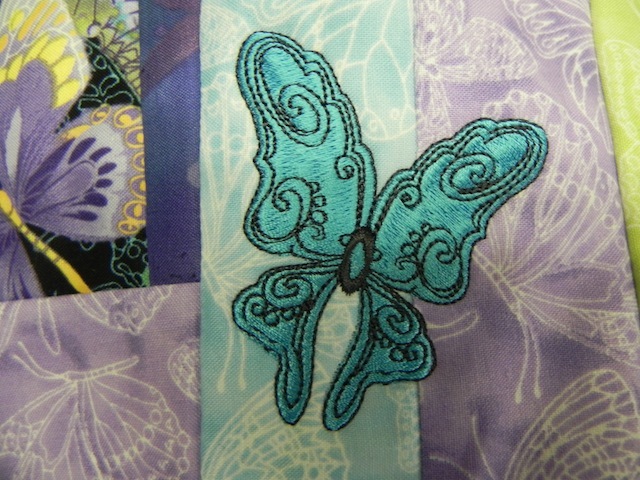 It also meant that there would be butterflies the colour of the bobbin thread on the back. I made my rows and sections by joining blocks with narrow sashing. 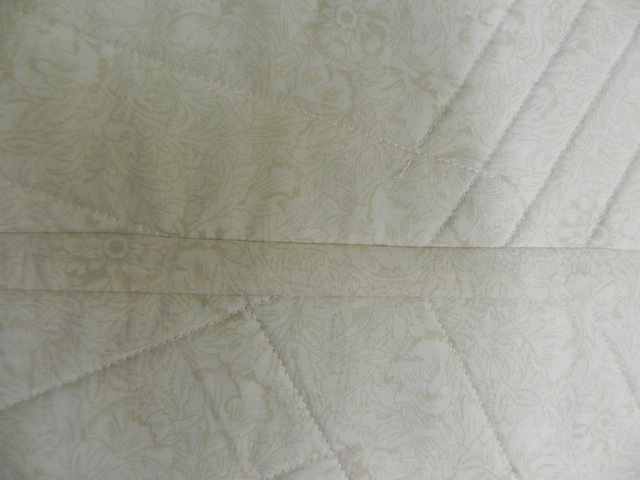 The sashing is sown to both blocks right sides together on the back. The front is only attached on one block right sides together. It is then folded over and either hand or machine stitched on the right side. 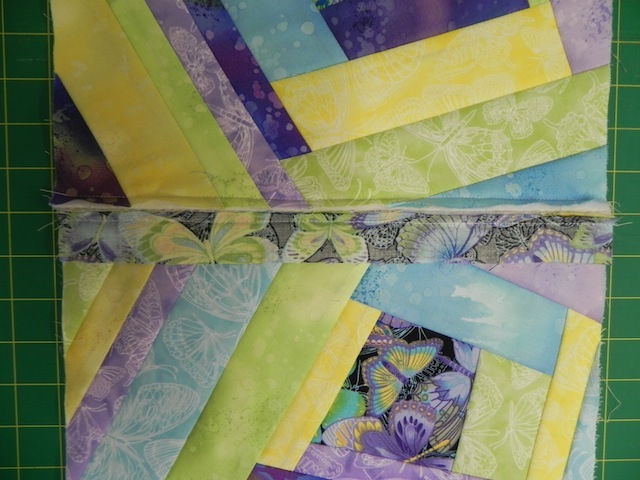 As life is too short and too filled with future quilts I used a fancy machine stitch trying to keep it parallel with the edge. A straight stitch would have been a nightmare keeping it neat on the back. 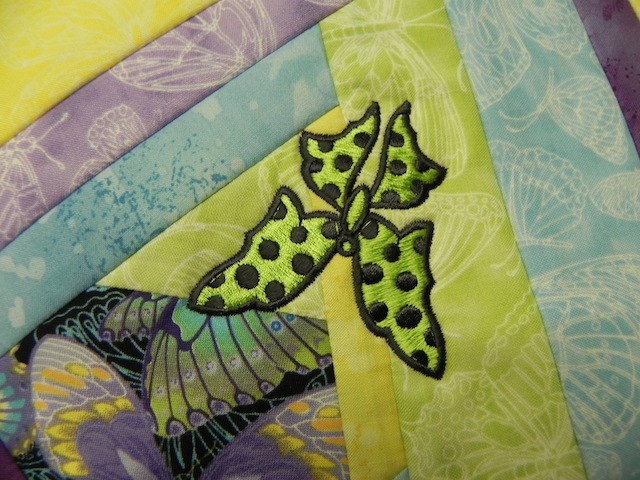 I hooped the quilt sections and embroidered butterflies. 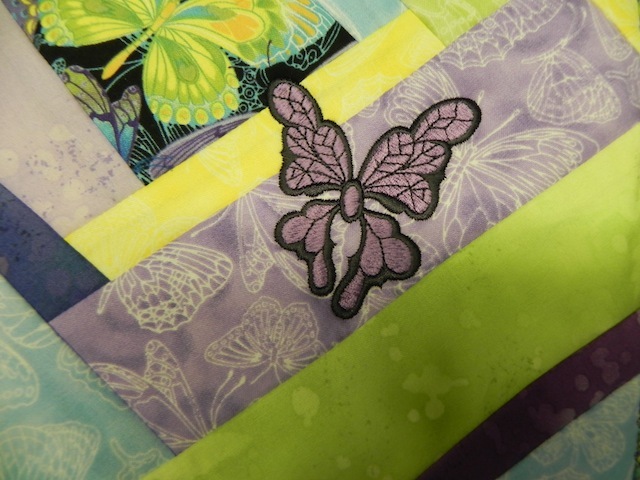 I could have embroidered the butterflies before constructing the strips but this way I could get nearer the edges of the blocks but that was just my preference. I don’t like things too ordered. 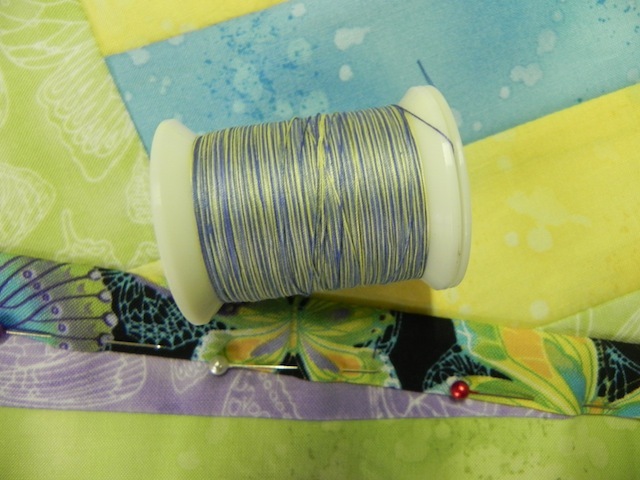 Sew all the strips together, add a wide border to match the sashing and Bob’s your Uncle. 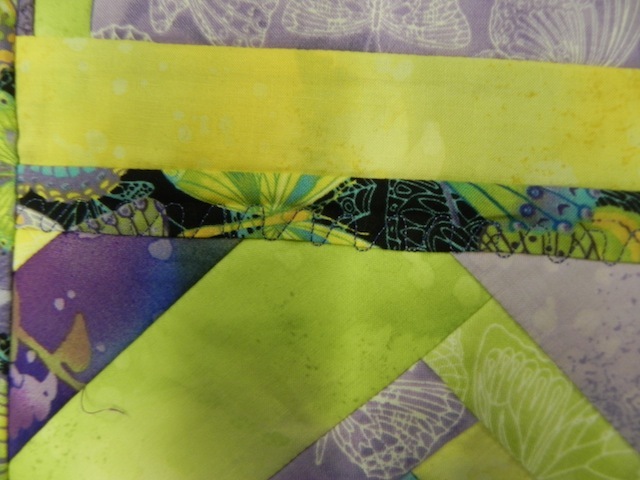 As an extra little touch I stitched butterflies all round the border using Sulky Solar thread. This means that at night a row of luminous butterflies lights the room. Who needs a night light when you have luminous butterflies. 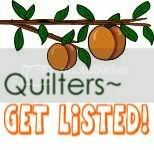 I thought I might try making some baby quilts with luminous embroideries. they will either provide the comfort of a night light or produce mildly confused children. What is life without a little experimentation?